Birthday Wishes for a Coworker | A Colleague's Special Day! Birthday greetings are one of the great ways to let a coworker feel loved and important. Aside that, they also help you create lasting relationships with them. 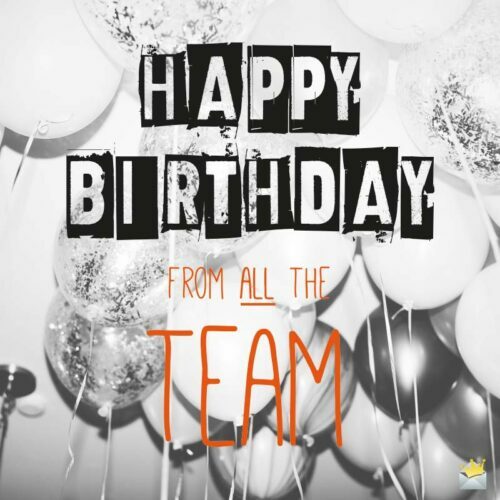 On that note, here is an abundance of super cool birthday wishes to add some excitement and color to that very important day of your workmate’s life. Happy birthday! 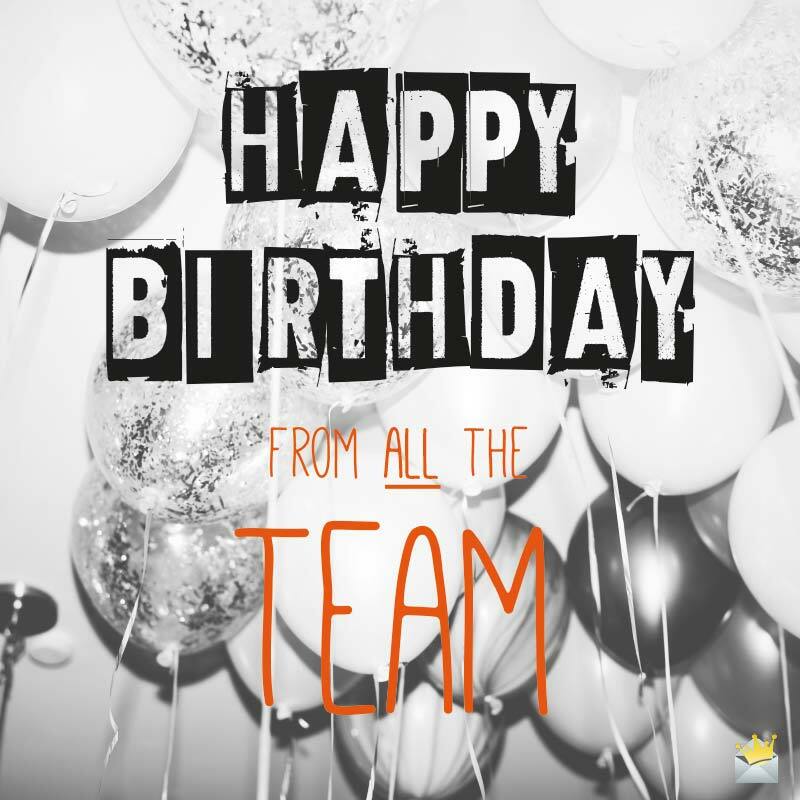 Hope your day is just as awesome, fun, and wonderful as you are and I believe you deserve them because you are simply an amazing workmate. There are so many great reasons why I love working here, but the most special reason is your presence. Wishing you a breezy anniversary, colleague! You make difficult tasks just seem so effortless and this is the major reason why we shall continue praising you. Have an astonishingly beautiful day, workmate! This event is just another perfect opportunity to tell you how much your confidence and dexterity inspire me here at this office. Have a truly joyous anniversary. There is no doubt that you are the main reason behind the airy environment that engulfs this office every day. It feels so incredible and special working with a colleague like you. Your energy, skills, focus, and determination to make it to the top are extremely tremendous and they are worth emulating. You are simply inspirational to us and we wish you a delightful birthday! You are such a special professional, one who is just so perfect to have as a friend and coworker. Hoping for a joyous celebration on your Big Day! I can forget everything else, but I shall never forget the incredible support and the sunshine you bring to this workplace. Wishing you an exclusive celebration today! May all your aims and ambitions materialize as you celebrate your birthday today. Congrats on your new age, and I wish you a very perfect year ahead! You are just so exceptional in the manner in which you go about your work here. Your birthday is a perfect time to tell you how sensational it is to have you as a coworker! You are such a fantastic colleague and friend. I just feel so lucky to be teaming up with you every day. Wishing you a spirited birthday! It is special colleagues like you who make the workplace less stressful, amazing, and a fun-filled place to be. Have a pleasurable birthday. I wish you well every blessed day of your new age. God bless you. Hoping you grab all the fun and excitement of the universe as you celebrate a brand new year in your life. Wishing the most extraordinary coworker a pleasant and a fun-filled anniversary party! You deserve extreme joy and happiness for the sunshine you bring into our world. You are simply fabulous and I want to use the opportunity that your birthday brings to tell you how much I enjoy every minute working with you. Your drive to succeed is simply amazing and one that is worthy of emulating. I believe this is the main reason why we take a lot of inspiration from you. Today, all I want you to do is let your hair down and have a blast! We appreciate your outstanding commitment towards work and we are highly inspired by your positive attitude. Wishing you jolliness and success on your anniversary! As today is your birthday, you deserve all the joy and blessings in heaven. Happy Birthday from all the team. It is so great to work with a colleague who is very full of confidence and is willing to take on responsibilities. May today bring you another opportunity to climb higher in your career. You are a lovely teammate and I just hope that your anniversary today makes you feel much better, happier, and loved. Wishing you an avalanche of happy discoveries! May happiness, opportunities, joy, fun, laughter, and peace crowd your world as you celebrate the day of your arrival on planet earth. You are an amazing coworker and an individual who serves as a perfect inspiration for us. We are totally blessed to have you here. 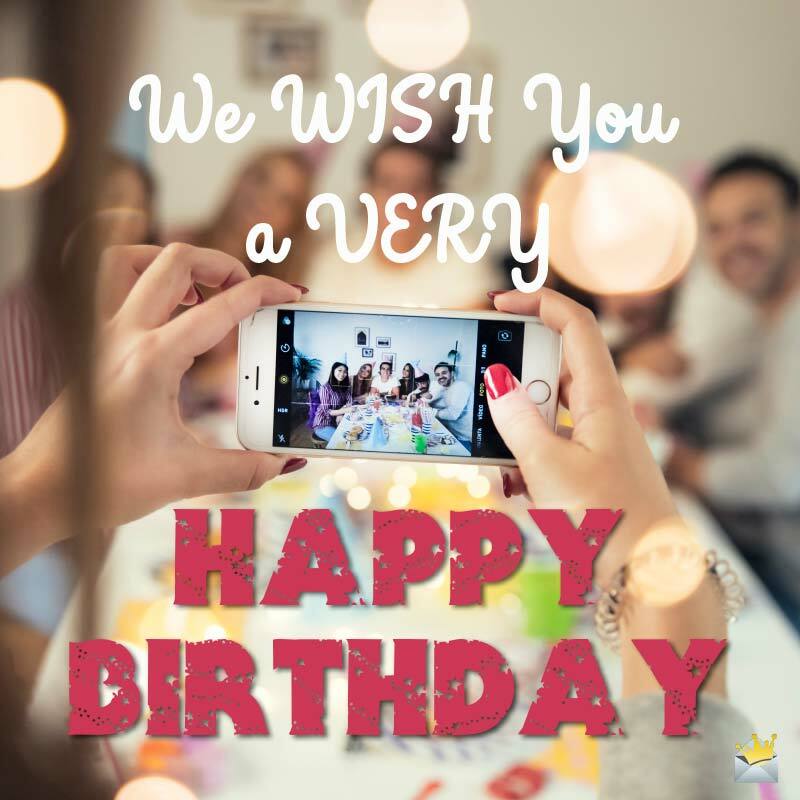 Wishing you the time of your life as you celebrate this great day you have been blessed with. I have to point out the fact that it has been purely pleasurable to be in the same office as you. Wishing you a birthday celebration so fabulous that thoughts of it always make you smile. With all my heart, I hope that you have an incredible birthday and a truly great year to come. You are a fine example of a team man, and I have great confidence that your amazing ability will lift you higher in your career. This is your day! Have fun to your heart’s content. Your talent and skills are nothing short of phenomenal, fantastic, exceptional, and incredible. So proud to tell the world I share an office with you. I keep reminding myself of how immensely fortunate I am to work with a great professional like you. May your birthday bring uncountable treasures of happiness and prosperity into your life! Hip, Hip, Hooray, it’s your Birthday! Your awesomeness at work is second to none. On top of that you have such a superb winning mentality. I’m so glad I work with you. You have never fallen short of showing your outstanding talents when it comes to performance and this makes you so special in this office. Dear colleague, today is just another day to remind you of God’s great blessings in your life and to also tell you how much you are appreciated here. Using this great opportunity to wish you everything that is absolutely special and beautiful just like you are to everyone here at work. I want to use this perfect day of the year to remind you of how great you have been to me as a colleague and friend. May your heart be intertwined with happiness forever. I hope that you have a really great year ahead, one which sees huge advancements in your career and untold peace in your heart and home! You are not just a great colleague who makes work so enjoyable but also a wonderful friend who has always stood by me through thick and thin. On your birthday, I say “Thank You”. Nothing makes work more fun than working in a team that includes someone as inspirational as you. Wishing you a celebration so colorful it brings you joy whenever you remember it.